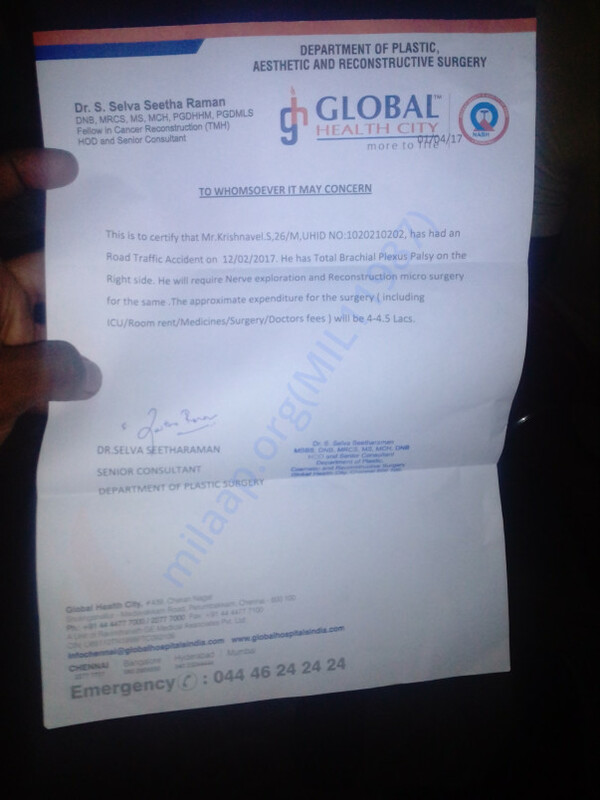 We are immensely happy to inform all of you about Krishnavel’s health. His 1st operation was successful. He underwent the second operation on 16th of May,2017. In this operation the doctors worked on reconstruction of his right hand. 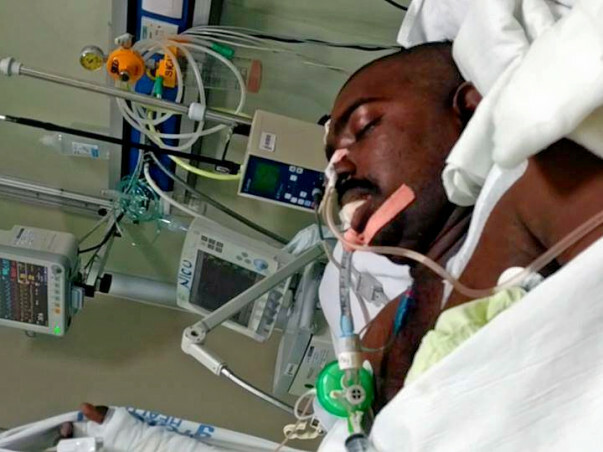 His friend Suresh has informed us that Krishnavel is now better and is at home. 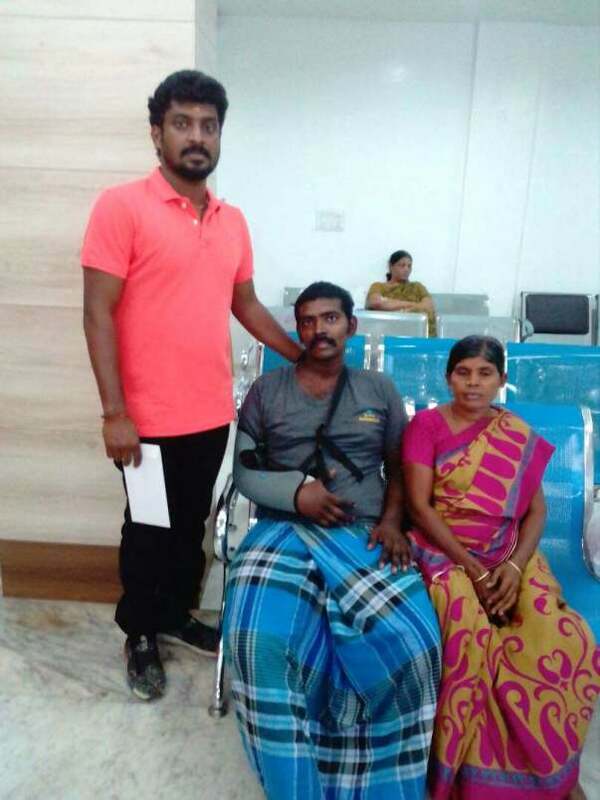 There is considerable improvement in his health and the doctors are of the opinion that his right hand will be working entirely only in the next couple of months. Krishnavel has started going for his post-operation check ups and his hand is recovering gradually. He is still in ventilator... Still unconscious... We need all ur prayers and contribution for saving his life... Please join ur hands with us and save Krishnavels life. He is in very serious condition... We need help.. Please donate us. God bless you with good health and wish you a speedy recovery.